Foundation Hëllef fir d'Natur, public benefit organization, invests effectively and successfully since 1982 for the Conservation of Nature. The Movement was born in 1978 of a core of some amateur growers, from an idea by Jean-Louis CHOISEL, passionate autodidact of Arboriculture and Pomology, animated by authentic communicative environment. Royal Horticultural Society, established in 1804, the gardener's most important charities large Brittannië has now been devoted to the advancement of horticulture and promoting good gardening. Founded in 1985 by dedicated FRUCTUS fruit connoisseurs. Since more than 20 years, we commit ourselves to the fruit diversity in Switzerland. 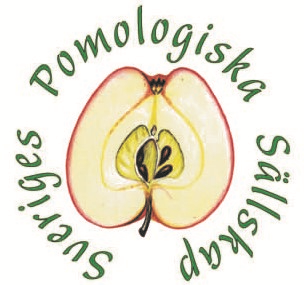 Pomologisch Genootschap Limburg (PGL) is an association which is involved in the preservation, promotion and proclaim knowledge about old (hoogstam) breeds of fruit and fruit cultivation of Limburg. The acquisition, conservation and management of orchards valid, their flora and fauna. Genetic conservation of our heritage of national and local fruit. Reawakening of interest in the conservation and replanting of orchards. Projects and landscape maintenance - repair. Organize educational activities related to the orchard and nature. Pomological studies and research information pomological. Centralize the work pomological, prints, tools and other assets of ooftkundig. The use of fruit in all its forms. "ARGE-Streuobst" emerges in June 2000 in the course of a meeting of representatives of many different initiatives and institutions within the Streuobstbereich Austria. "ARGE-Streuobst" works as a platform for informal, and is now relevant for all organizations active in Austria. Structuring "ARGE-Streuobst" as an association, federation or similar roof are currently in the conference. Coorporations who are interested in participating, may always contact the webmaster.